Hong Kong (AFP) - A long-delayed trading link between the Chinese city of Shenzhen and Hong Kong launches Monday, opening another door to the mainland's cosseted stock markets but a China slowdown, weak yuan and expected US rate hikes have analysts sounding a note of caution. The tie-up, similar to one that kicked off between Hong Kong and Shanghai two years ago, is being touted as the latest effort by Beijing to prove to global investors that its capital markets are gradually opening. 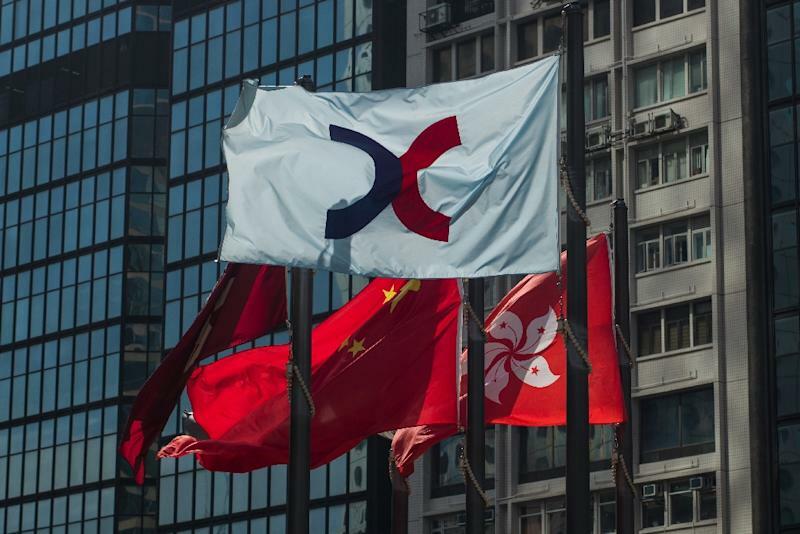 Hong Kong authorities have lauded the "stock connect" as a boost to the city as a finance hub that will cement its role in helping internationalise the yuan. The former British colony is now a special administrative region of China but remains deeply connected to the global financial system, unlike the mainland's closed markets. Francis Lun of GEO Securities expects the launch to be an "anti-climax", with the repercussions of last year's rout in mainland markets -- which spread globally -- still being felt. That delayed the launch of the new trade link, which had been expected by the end of 2015. Concerns have been exacerbated more recently by capital flight due to a weaker yuan. "The problem right now facing China is there's a liquidity squeeze in the banking system," Lun told AFP. "When you have a lack of liquidity, it's difficult to find money to buy stocks." Lun predicted institutional buying of blue chips for long-term investment, but warned the pricing of Shenzhen shares would be high. Shenzhen is China's second stock exchange, behind Shanghai, and is the world's eighth largest bourse with a market capitalisation of $3.3 trillion as of September. The Shenzhen connect will enable foreigners to buy shares in more than 800 Chinese firms for the first time. It builds on the Shanghai-Hong Kong link which launched in November 2014 giving foreigners access to Chinese companies not quoted elsewhere, and enabled mainlanders to trade in Hong Kong. But the Shanghai connect has failed to excite traders, with both daily quotas for "southbound" mainland and "northbound" international buyers often going unfilled. Mainland Chinese trading accounts are valid for both the Shanghai and Shenzhen exchanges, so the Shenzhen link does not give access to the Hong Kong bourse to any extra mainland investors. However, it will allow the existing ones to trade another 101 smaller Hong Kong-listed companies. It will particularly attract those looking to invest in tech, says analyst Castor Pang, head of research at Core Pacific-Yamaichi International. China is seeking to promote Shenzhen as a tech hub and its stock market has been likened to the United States' Nasdaq. But turnover is unlikely to soar, due to the smaller size of the firms on offer, says Pang. "Investors who want to buy those stocks may not buy a huge amount in a single trading day," he told AFP. Analysts agree demand for mainland shares is sluggish due to their unpredictability. But southbound investors may see the stock connect as a timely opportunity to diversify, said Patrick Mohr, trading strategist at brokerage Instinet. The brokerage's Neil Mclean adds that the long-term significance of the stock connect should not be underestimated. "The real huge significance of this over a 10-year scope is the ability for China to come in to the rest of the world," said Mclean, head of execution trading for Asia ex-Japan. "China doesn't open its doors for fun."